This is a great activity that students really get into! 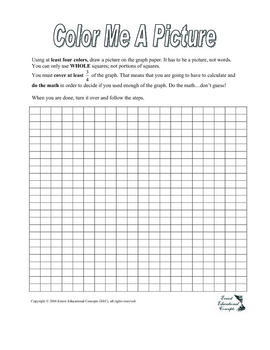 On page 1, they follow the directions and create a picture using at least four colors. 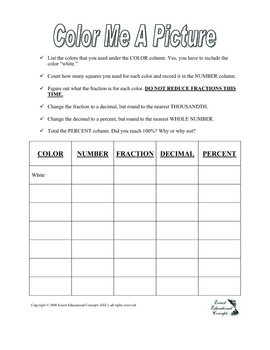 Then on page 2, they will use their picture to calculate the fraction, decimal, and percentage of each color used!